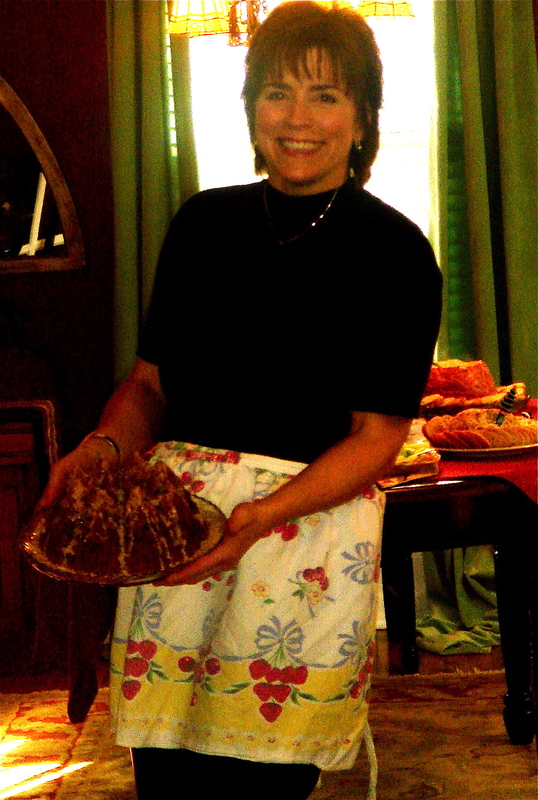 That’s me in the cell phone picture above, wearing a borrowed apron while presenting the first cake I ever made from scratch to my guests at a Christmas party in Atlanta. Judging from that smile and what I remember, I was clearly giddy with delight at how well it turned out. Yesterday was a day like that for me too. After clicking publish on yesterday’s post, I checked a few blogs that I read regularly and went out for a run that quickly turned into more of a brisk walk due to a pulled back muscle. Imagine my surprise when I realized on my return that my blog had been selected by Joy, an editor at WordPress, as one of eleven blogs to be showcased on the Freshly Pressed site for WordPress.com. It is always special to receive recognition, whether it’s a group of your friends with an appreciative sweet tooth eating up your first apple cake or a group of strangers who show up all at once to see what’s shaking at your place … support like that can quickly make a girl go all giggly and Sally Field-ish. It was great fun to see your comments and watch my sitemeter numbers go up throughout the day and although they didn’t climb quite as high as they did when Pioneer Woman sent all her friends over for a visit, it was pretty exciting on its own. Thanks to everyone who took time yesterday to leave a comment and say hello. I haven’t made it around to all of your sites yet, but if you have one, I’ll be by later today and if you happen to be feeling like serving a little snack, I’d love a cup of coffee and a piece of cake. 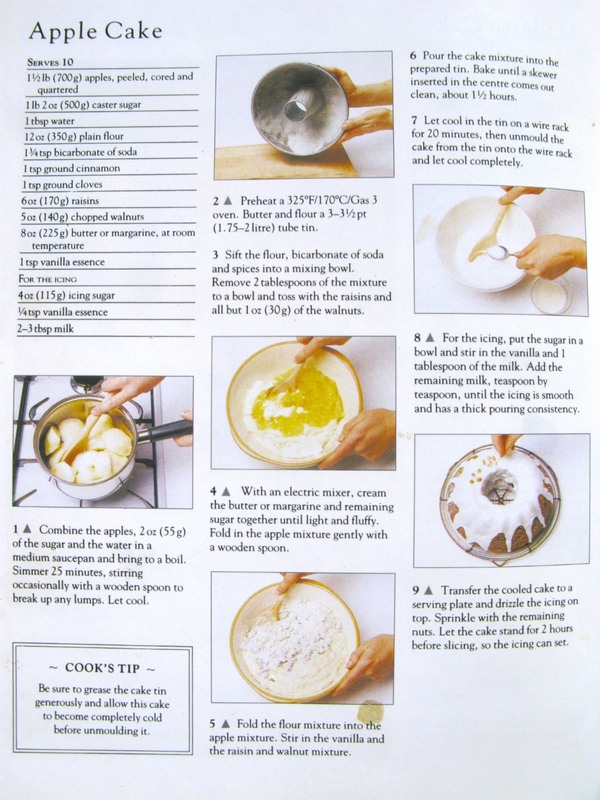 In case you don’t have a good cake recipe of your own, I’m happy to share my favorite from Carole Clements, The Cooks Handbook. This entry was posted in Bloggers, Cooking, Memories, Writing and tagged Apple Cake, Atlanta, Carole Clements The Cooks Handbook, Elizabeth Harper, Freshly Pressed, Gifts Of The Journey, Pioneer Woman, Ree Drummond, Sally Field, Wordpress. Bookmark the permalink. Thanks for sharing this recipe. Apple cake is my all time favorite. I think I’ll bake it over the Memorial Day weekend. Congrats on the Freshly Pressed recognition! Does that mean you get freshly pressed between the pages of a large tome like a four leaf clover? Congrats on the recognition! Your combination of beautiful photographs, pithy posts and a great life story make for a great blog. I’m really happy for you.